Spring Ball 2014 is Coming! Welcome to the IB Spring Ball of 2014! This year the event will be held on the 25th of April and the theme is mystical masquerade. About the masks: As it is a masquerade, you should have a nice mask with you. We are looking at different web stores to partner with and for example: trying to get a discount code for everyone. So wait for info on the matter before you get one for yourself. 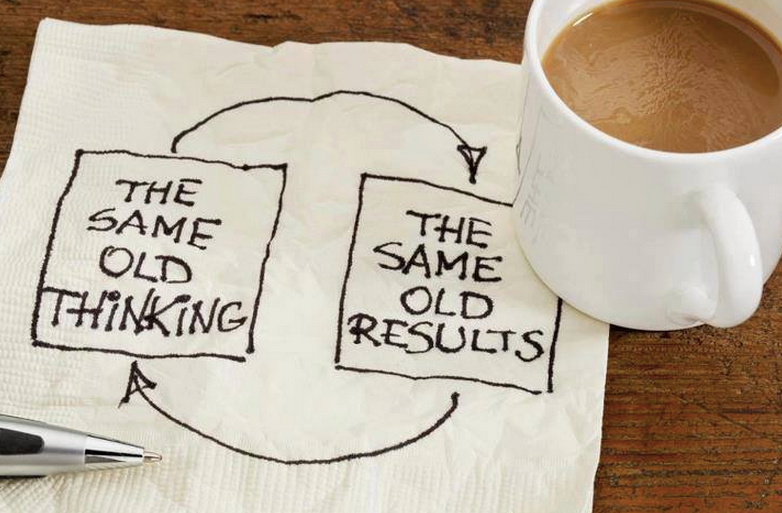 This wasposted by Knowmads Business School Amsterdam in Facebook. It rang true with me and I thought I’d share it with you guys :). Hey guys! The annual IB spring ball will be coming up soon. I hope to see some IB alumni there! I know I will be! I’ll be sure to announce dates and times when I know more. Keep your eyes on this space! Do you love the strange and funny antics of others? Have you ever offered someone money to do something crazy? If so, you might enjoy some of the services advertised on these 20 blogs. From people who’ll eat cat food to someone who will walk around in sneakers filled with ketchup, you can find just about anything on one of these blogs. Check out these blogs for a laugh or as a way to dispose of some of your income. Oddee.com – There’s a reason that “odd” is part of the name. For only $5 you can verbally abuse this guy, watch someone dance around in mustard filled tennis shoes, or have someone spell out a message in food. Vietnam Biz Blog– This blog has a host of strange services available for funerals. Some of the stranger ones include having your loved one paddled down a river or hiring cross-dressers to do circus tricks and turn the funeral into a party. Storts Family– Have you ever wished that someone would break up with your significant other for you? You can find that person here. Another plus? It’s not even very expensive. Pets Rest in Peace– Now you can have your pet buried or cremated through this service and pick out a pet urn to keep the ashes in. Weirder Web– Looking to hire a hit man? This blog had a guy named “Shadow” who was advertising his services. He did request that no one lecture him on the legalities of the services he provides. Sell Your Body Parts – You can sell your hair, your eggs, your sperm and a variety of other parts to make money. This financial blog has really gone strange with this one. Kristin’s Coupon Corner– This service clips coupons for you and sells them to you for pennies. Single Spot Camping– A site that will advertise your back yard or pasture to others as a camping location. You pay $60 a year to them and they take care of the rest. MethodIzaz– If you want to feel like a rock star you can hire the services of these people to take pictures of you in your normal life. You will get the pictures later. Iconichipsters– Strange hotel services are available, such as meeting with a real live Shaman to allow him to rid you of your negative thoughts or having someone from the hotel come and read you a bedtime story. Zombie Harmony– This is a dating service that puts together zombie enthusiasts. There are funny ads that are worth a look, even if you are not into dating zombies. Rent a Grandma– You can actually rent an older woman to be a grandma-like person to care for pets, babysit your kids, or take care of other tasks around the house like cooking dinner. The Snuggery– This website advertises the services of a woman who will snuggle with you. Nothing sexual, just snuggling and relaxing based on the benefits of human touch. Chololi– Ever noticed someone’s nose hairs, but been too shy to tell them they needed to trim them? This service does it for you. Tell them how to contact them and they take it from there. UFO Alert– Want to be alerted when there’s been a UFO siting? Sign up to this blog and you will receive e-mails regarding any UFO activity. Pooper Scooper Service– This site suggests giving a pooper scooper service as a gift. The site offers exactly what it says, someone who will come over and pick up your pet’s poop. The Rejection Hotline– Ever been hit on by a guy that you really didn’t want to give your number to? Now you can give out the number for the rejection hotline instead and they will tell the guy what a loser he is. Ear Cleaning Service– If you don’t want the hassle of cleaning out your own ears you can go to an ear cleaning parlor instead. These parlors are all the rage in India and Japan. Dead Body Disposal Guide– This blogger presents this as a service for world traveling serial killers, and gives them ideas on where they might dump a body. 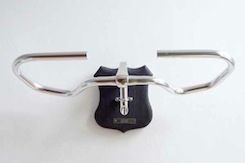 Bicycle Taxidermy– If you love your bike, but can no longer ride it, you can have this service turn your handle bars into something resembling antlers on a plaque to hang on your wall. One look at any of these sites and you should be feeling more normal than ever. Unless, of course, you managed to locate a service on here that you were interested in utilizing, in which case, it’s possible that you might just be just as weird as what’s being offered.